Do Eurail Trains and Eurail Passes Save Your Money? What's better, Eurail Passes or tickets on national railroads? Many visitors to Europe choose trains as the most convenient, most scenic, and least stressful way to see the Continent. For visitors committed to this classic, eco-friendly mode of travel, Eurail is an alternative to buying local railroad tickets in individual European countries. With one convenient Pass, Eurail travelers can seamlessly explore up to 28 European countries, hopping on and off as they please. And Eurail can be a very good deal, especially off-season, when prices drop and sudden deals crop up, like online flash sales. Eurail also offers a variety of year-round travel deals on their Passes, including Family Discount (children ages 4 to 11 travel free); Youth Discount (adults 27 or younger get 20% off standard adult prices); and Saver Pass (groups of 2 to 5 travelers can save 15% on adult prices. How Do You Decide Whether to Go with Local Trains or Eurail? Going with Eurail has certain advantages. Eurail whisks you across borders. If you're planning on taking trains in more than one European country, Eurail Passes are a logistical boon, saving time, confusion, and stress. Eurail allows for spontaneity. Eurail makes it easy to travel in impromptu and adventurous style, allowing travelers to see both the busy regions and the hidden gems. This is a joy to footloose travelers, but is probably not the best option for visitors intending to stay in one area. Bottom line: For travelers planning to visit several countries or travel extensively via train, Eurail can be a considerable money-saver. Eurail has its disadvantages, too. The main knock against Eurail is that it requires advance planning. Eurail tickets must be bought in advance and delivered to you in North America before you fly to Europe. (However, individual point-to-point tickets and multi-train passes can be bought online no matter where you are. They are not as discounted as pre-bought tickets.) Passes can be bought 11 months before your travel date. Eurail offers numerous types of Passes to suit every traveler’s needs. Handy, interactive tools on the Eurail website and Rail Planner App help you decide which pass is right for you. Factors to consider: whether you have a set itinerary, may be taking more than three trains, or are looking for date flexibility. Eurail Select Pass: Eurail’s most popular Pass lets you customize to suit your travel needs. T he options are many: you can choose travel between two, three, four, or five bordering adjoining countries, and for a duration of four, five, six, eight, 10, or 15 days. The Eurail Select Pass is valid for two months, whether it's high season or Europe's off-season. Eurail Global Pass: allows you unlimited travel on the entire rail networks of 2830 countries. ( See the list below). The Eurail Global Pass is available in two options: Continuous and Flexi. The Consecutive Continuous Pass is good for a period of 15 days or 221 days, or one, two or three months. The Flexi Pass is good for 10 or 15 days of travel, either consecutive days or isolated days, within a two-month period. Eurail One Country Pass: allows passengers to delve deeper into one country, as travelers can choose from 24 national options, such as Italy, France, or Spain. The One Country Pass is available for travel over three, four, five, seven, or eight days of travel over a 0ne month period. Beyond their specificity to time and location, many Eurail Passes can be purchased based on the desired class of service. 1st Class – with 1st class Passes, travelers can expect more spacious storage for luggage, comfortable and reclining seating, generally quieter carriages, outlets for charging devices, and in some cases, free WiFi. Additionally, many countries offer a 1st class lounge in the train terminal, which vary from country to country. A 1st class Pass can be used for both 1st and 2nd class carriages. 2nd Class – 2nd class Passes are cheaper than 1st class and provide travelers with modern, comfortable seats, luggage racks and compartments, multifunctional outlets, one electric out per double seat generally, and WiFi in some cars. While many of the trains in Eurail’s Pass system are included for free, especially the regional trains, there are a few that require seat reservations. 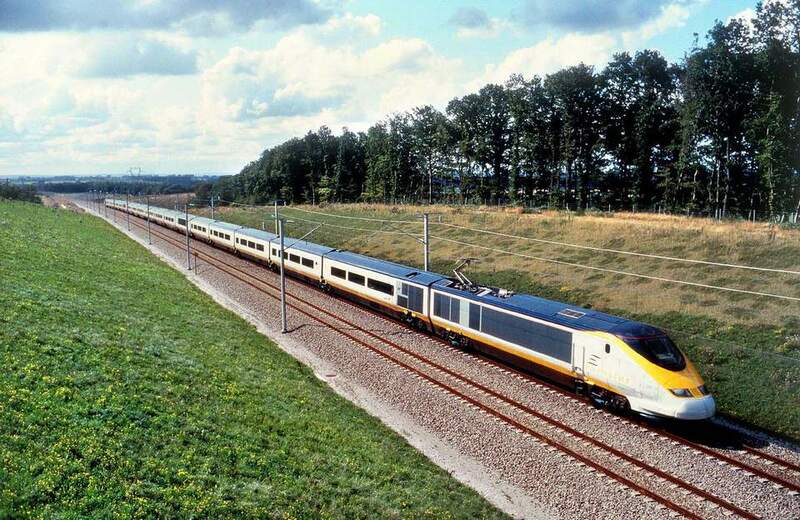 These are primarily the high-speed and overnight train, as they are especially popular. Guests can make reservations through the Eurail.com reservations service, at the train station, with the operation railway companies directly (via phone or online), or through the Rail Planner App (certain trains only). More information on reservations can be found on Eurail’s website. A host of benefits included in the Eurail Pass remind passengers that it's more than a ride. It's an experience. Eurail Pass holders can take advantage of hundreds of benefits and price reductions all over Europe: discounts on ferries, boats, accommodations, free access to attractions, and even on public transportation. One of the top offerings is savings on city cards, the convenient and wallet-friendly way to see select European cities, with deep discounts and often free access. What Constitutes a Day on Your Eurail Pass? Is a Car Better Than Taking the Train in Europe?